I have worked with Elea for many years and she always continues to inspire me with her fresh approach to color and design. She is super talented and tops it off with her sweetness that endears her to everyone. Elea's new book called Dolly has beautiful photography that keeps you looking through the pages over and over again. After looking at all the lovely dolly themed projects I finally decided to make this cute Doll Dress Wall Hanging. 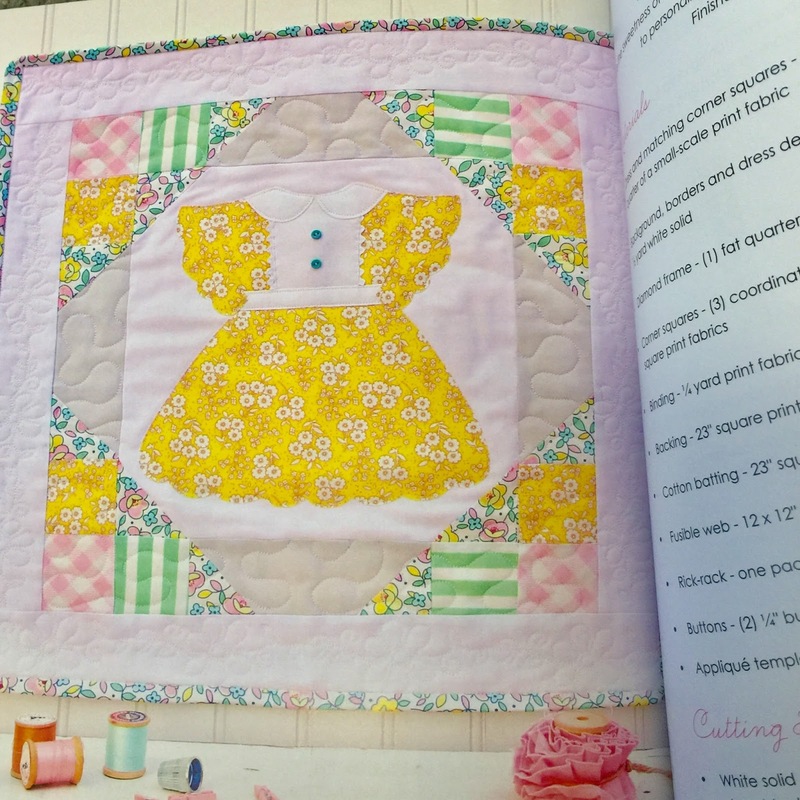 I used Little Dolly from Elea's recent fabric range. 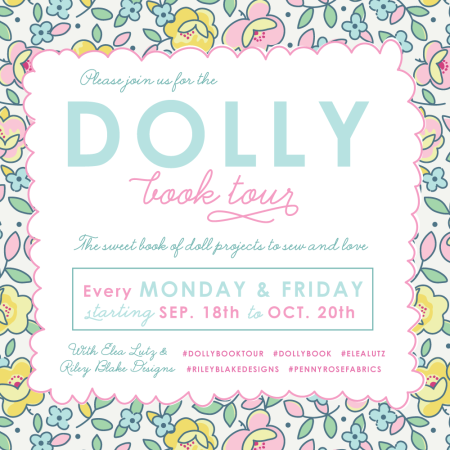 The colors and little mini designs are perfect for all the projects in her new book called DOLLY. that will be coming in December. I was able to fussy cut the little flowers from the fabric on this collar and I love how it turned out. It reminded me of a little girls vintage dress...so sweet! to welcome a new baby girl into this nursery! She is going to feel so loved being wrapped in all this cuteness. warmth and sunshine to her room. Notice the cute unicorn embroidery that my daughter has been ambitiously stitching to add to a cute wall of home made items she is working on for the nursery. 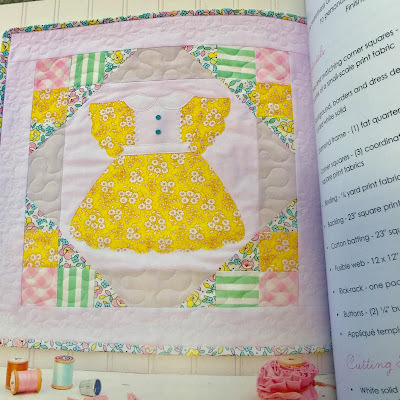 You can see the added detail in this quilt...some hand sewing mixed with machine sewing. The buttons really finish the little dresses nicely. The machine sewing is sewn in the ditch so it is harder to see than the hand sewing. I love the sweet collar, sleeves and waistband on this cute dress that Elea designed! The cute white dresser below was a selvage from the garbage. I rescued it and knew it would be the perfect changing table. The dresser was an ugly dark blue color and it was a desk. With a little help from my handy husband, he added a shelf at the bottom and moved the keyboard shelf to the middle. This way it created 2 shelves for storage bins...who doesn't need more storage. 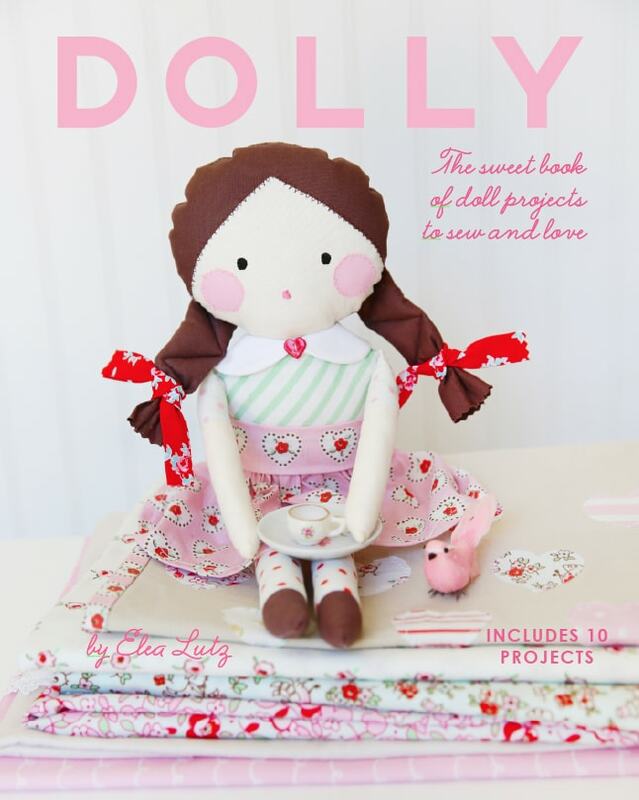 has 10 sweet doll projects to sew and love and were inspired by the rag dolls that Elea's grandmother made for her. She still treasures the stitches of love and detail that was placed in each doll.